I had the pleasure to team up with Zappos to showcase the Bryson Chelsea boot by Steve Madden. If you know me, you know I love a nice boot to compliment my fall outfits. 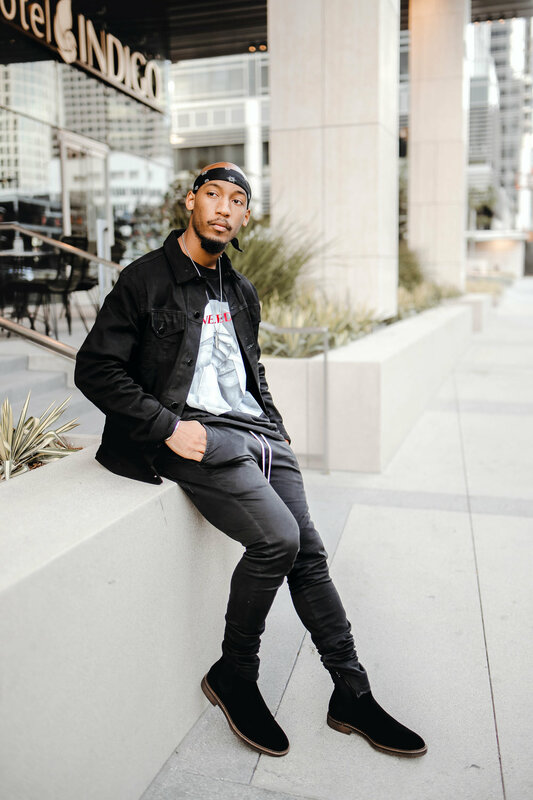 While in LA, I styled the Bryson Chelsea with an all black street casual look—the black pallet and boot paired well to create a classy urban aesthetic. Chelsea boots are commonly styled with a simple casual look, but who wants to fit in with the crowd? I switched things up and added a bit more flavor. Styling them with a denim jacket, graphic t-shirt, and fog essential pants to highlight the Bryson Chelsea’s versatility. Another bonus of the shoe is how comfortable it is over longer distances. We walked the streets of LA, and I experienced zero issues. One thing I love most is how well the Bryson Chelsea boots fit. They slide on with ease like a sock, they are secure around the ankle and the soles provide great support. After spending considerable time in the shoes, it is apparent they are well constructed. The composition and quality of the boots make it hard to believe they are only $120.00 USD! The Bryson Chelsea boot comes in two different colors—black and brown., I tend to wear black more often, so I chose the black boot, but brown is also a solid option to consider. Chelsea’s tend to run big, so I went a full size down in these. Winter is coming, and it is the perfect time to incorporate boots in your wardrobe to achieve some great fall and winter looks. Head over to Zappos and check out these boots. They offer super fast shipping and a 365 day exchange and return policy.